Buenos Aires' bar scene has witnessed a craft beer explosion over the past two years, with microbreweries, bars dedicated to craft beer and takeaway refilling stations growing exponentially. And there’s no sign of that stopping anytime soon. When Palermo Hollywood’s La Birrería opened up in September of 2016, the idea of a bar dedicated to craft beers in Buenos Aires was still a relatively new one. With 24 draft beers on tap, and few bars and pubs in the capital offering more than the standard roja or rubia, the bar was in a uniquely influential position among its peers. Buenos Aires’ bar scene has witnessed a craft beer explosion over the past two years, with microbreweries, bars dedicated to craft beer and even stations for refilling “growlers” – a two-litre jug of beer – growing exponentially. In a time where authenticity is next to godliness and knowing the painstaking details of what one consumes is its own form of cultural currency, it’s no surprise that craft beer is surging in popularity across the globe. Argentina, it seems, is no exception. While Argentina’s per capita consumption of beer is 46 litres – well below the 57-litre average in Latin America – craft beers have now come to represent two percent of the total Argentine beer market in just a few years. 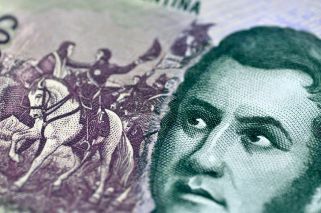 Annually, the market is seeing a 40-percent increase in volume, Pablo Rodrí- guez, the partner and founder of Cervecería Antares told Noticias magazine in an interview last year. It’s a global trend too. According to the Brewers Association, in the United States, the largest producer of craft beers, retail dollar sales of craft beer accounted for 22 percent of the US$107.6-billion beer market last year. Brewers of Europe reports that there were over 7,700 microbreweries across the European continent in 2016, with Britain boasting 2,647 microbreweries alone. Now, after years of sub-standard ale, porteños are finding that they have plenty of topquality options in the capital. There’s the option of taking home a growler filled with their favourite craft beer fresh out the tap, while sharing a pint after work with a colleague is easier than ever with a bar never more than a few blocks away. The Buenos Aires beer scene is quickly proving itself to be more than just “limited to Quilmes, the local watery lager, or Heineken” as one Guardian article from 2014 put it. “This is very much a country of wine and of the Italian tradition of having wine at dinner,” says Leandro Chamma, owner of Cervecería Nacional. 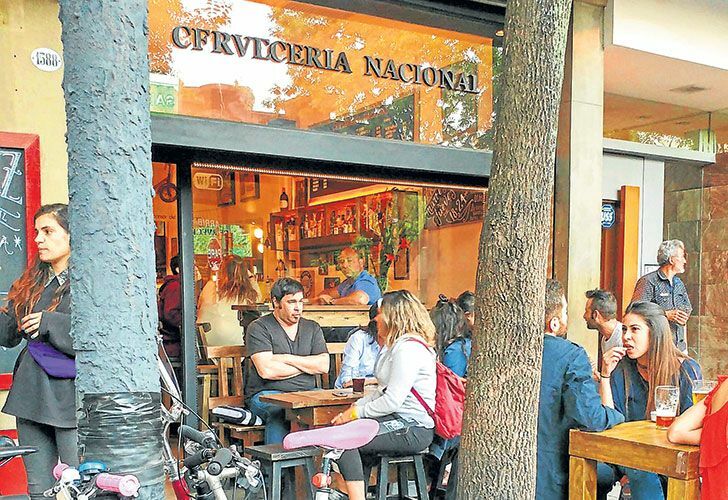 “So there’s novelty in the idea of having a beer with coworkers or close friends after work.” Chamma established Cervecería Nacional in Palermo five years ago, then expanded with a second location in late 2016. Despite Argentina’s cultural preference for wine, breweries abound in other regions of the country too. Some have been making and distributing microbrewed beer since long before it became a happening thing in Buenos Aires. Mar del Plata, for example, is home to Cervecería Antares, Argentina’s first proper craft brewery. Bariloche’s Blest claims to have been the first “brewpub” in Argentina, and Berlina and Patagonia are some of the best-known breweries among beer-drinkers. Even folks at the end of the world can enjoy a cold quality beer, with Ushuaia’s Cervecería Beagle taking the title of the world’s most southernmost brewery, proudly brewing beers with glacier water and Patagonian-grown hops. For some, their love of craft beer began in their own kitchen. Solange Back and her husband, Javier Palladino, are the owners of the Santo Lúpulo Growler Station in Palermo SoHo. Palladino began brewing his own beer at home approximately one year ago, and that love for the process grew into them opening up a refill station in August 2017. Craft-beer aficionados can now top off their growlers with any of Santo Lúpulo’s 10 rotating drafts. Palladino and Back see the revitalisation of Buenos Aires’ beer scene as an indicator of changing tastes. The brewing process of craft beer in and of itself is a science, with each of the four main components – malt, hops, yeast, and water – creating infinite possibilities in terms of the kind of beer a person wants to create. 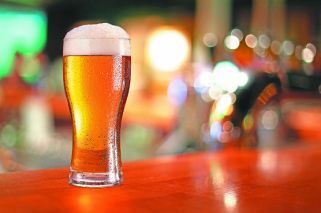 Malt (most often barley) is the main actor in beer and is largely responsible for the colour and the body of the beer as well as adding sweetness. Hops come in to complement the sweetness of the malt with bitterness and add flavour and aroma. The yeast in beer extracts the alcohol, carbon dioxide and flavours from the sugars in the malt and is responsible for the buzz and the bubbles in your favourite pint. And while water may seem like a straightforward ingredient, the temperature and mineral content of the water used in the brewing process adds to the beer’s profile and can even define what kind of beer it is. For example, lagers and ales respectively require different yeasts and water temperatures in the brewing process. The flood of breweries and bars now gives locals and tourists alike an incredible amount of choice in where they decide to sit down and enjoy a pint, and local entrepreneurs have capitalised on the beer scene’s rapid growth. Jessica Marantz and Juan Manuel Santa María are the founders of TapMap, a venture that began as a physical map and has now expanded into a print quarterly magazine and into the digital world with an app that boasts over 30,000 downloads. Describing itself as a “craft beer locator,” TapMap aggregates Buenos Aires’ breweries on a map of the city and gives users information such as a locale’s hours and how many beers a brewery has on tap. And tapping into the social nature of beer, the app has a built-in feature where users can leave comments and reviews about their experiences at certain bars. In the time that TapMap has been available, the map has seen a doubling in number of bars and breweries on the map, emphasising the rapid growth of the market. But will the boom last? Marantz cites famous beer-drinking cultures such as those of Germany and Belgium as reason to believe that Buenos Aires’ craft beer movement isn’t just a flash in the pan. “It’s not so much a trend as it is a transition in how people consume beer,” Marantz said. Chamma, however, thinks the beer bubble, while not bursting, may have reached its peak. As someone familiar with trends (he has a background in fashion), he recalls the landscape for bars well before the craft-beer boom. He says it’ll now be a matter of who persists, as opposed to new businesses opening up. Chamma also cites the eagerness with which business have totally rebranded themselves, in light of the moment that beer is having, as reason to be sceptical of the boom. Others, however, remain more optimistic about the beer scene’s future prospect. La Birrería expanded to Puerto Madero and Cañitas in 2017 and have forthcoming bars in La Plata and Colegiales, and Back and Palladino hope to open another growler station or bar in the near future. 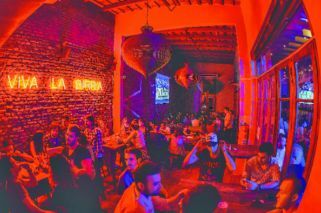 A previous version of the story stated that La Birreria's Puerto Madero location was opening in 2018.